But then a new wizard unleashes the power of Neldin. Meglar, wizard king of Zargon, uses dark magic to create an army of creatures to carry out his master's will. While helping Nerti, queen of the unicorns, Farrell saves Miceral, an immortal muchari warrior the Six have chosen to be Farrell's mate. But Farrell approaches love with caution, and before he can decide how to proceed, Meglar invades a neighboring kingdom. Farrell and Miceral find themselves in the middle of the battle. Farrell pushes himself to the limit as he and Miceral fight not only to stop Meglar but for their very survival. Listening Time: 13 hrs., 12 min. No dragons here but there was a pretty awesome unicorn! And some pretty amazing peregrines! 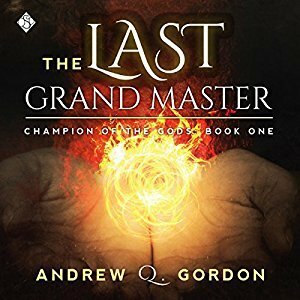 'The Last Grandmaster' is the first book in Andrew Q. Gordon's series 'Champion of the Gods' and for me if it's not Urban Fantasy when it comes to fantasy this is my crack. I loved it wizards and noble warriors, magic, unicorns, peregrines, dark magic, good vs evil at its best! Farrell is both a Grand Master and the crowned Prince of Haven a hidden sanctuary for refugees. He's the linchpin in the war against Meglar the wizard king of Zargon and a user of dark magic. It's during a battle against Meglar that Farrell meets Miceral an immortal warrior chosen by the Six to be Farrell's mate. Along with Farrell and Miceral the author introduces us to Nerti, Queen of the unicorns and a large cast of secondary characters who all have a role to play in the battle against Meglar. Overall I really enjoyed this story. It's been quite a while since I've listened to or read a fantasy novel on this epic of a scale and to be honest I'd forgotten the amount of world building that it takes to make a story like this work. Fortunately for me the author chose to incorporate most of his world building into the story which for me works a whole lot better than info dumps. While there were occasionally times that my interest waned they were far and few between. 'The Last Grandmaster' is as story that has a lot going on...not only is Farrell's personal life in a bit of upheaval but he's working hard to save his world and defeat the evil known as Meglar and of course like any good story our hero has secrets...secrets that dog him at every turn and may even prove to be his undoing. I have to admit I've been poking around this series for a while now and couldn't quite make up my mind but when the opportunity to listen to this on audio book came up, I sat down and took a serious look at things. I know I've said on more than one occasion that fantasy is one of my absolute favorite genres, so needless to say this had 'The Last Grandmaster' ticking yes in more than a few boxes for me. 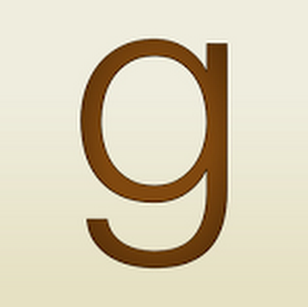 My dilemma came when I got to the narrator. Joel Leslie is the narrator for this book and this created a bit of a dilemma for me, I haven't had the best of luck with this narrator. It's not a case of good or bad, it's truly just personal preference and for me this narrator's voice tends to be more miss than hit...so what to do, what to do? Well I went back and took a look at the audio books that I've listened to by Joel Leslie and came to the realization that while some didn't work and some were just ok. Out of them all while the audio was for me only 3 stars...I would have to say that 'Lord Mouse' is probably the one I liked the best and while that book bares no resemblance to this one in terms of the storyline or plot there is a similarity to the overall feel of them...sorry, I wish I had better words to explain this with but hopefully you get my drift here...anyways, bottom line after pondering this aspect of things I decided this was worth taking a chance on and happily for me I was right. Joel Leslie's narration for 'The Last Grandmaster' worked just fine for me and I genuinely enjoyed the audio experience. So much so that I'm truly hoping that the remainder of this series will be produced on audio book and I certainly won't have any reservations about listening if it's the same narrator for those books. Although 'The Last Grandmaster' is the first book in this series the author hasn't left us standing at the edge of any cliffs wondering about the well being of our heroes, it would appear that each book in this series is for the most part a self-contained adventure that is part of a larger journey...a quest if you will, that our heroes are on in their battle against evil. There are currently four books in this series with a fifth book slated for release in 2018. For me the question isn't whether or not I'll continue the journey it's more a case of e-book or wait for it on audio? What to do? What to do? 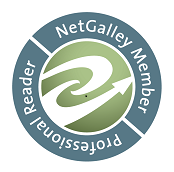 An audio book of 'The Last Grandmaster' was graciously provided by the publisher in exchange for an honest review.